Dr. George graduated with honors from New York Chiropractic College in 1995 and Springfield Technical Community College in 1989. The National Honor Society has recognized him for Undergraduate Studies. 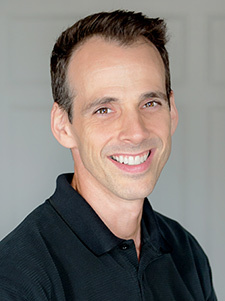 After graduating and working for area Medical and Physical Therapy Clinics, Dr. George formed Physicians Plus in his hometown of Springfield in 1999. The Langlitz family takes pride in being a family practice. Currently, Dr. George and his sisters, Janine and Patricia, all work at the practice to help individuals and families regain and maintain their health. Dr. George’s goals are simple, tried and true; to utilize his experience both personal and professional through his embodied commitment to health, fitness, well-being and recovery of clients through combined therapy and the best medicine—laughter. His extensive qualifications include not only his expertise in chiropractic care, but also his experiences in being a chiropractic sports physician and motor vehicle accident expert to bring you back to health when you need it most. Dr. George is also a member of the following boards and councils, which ensures his qualifications are always up-to-date and his knowledge is kept current on recent developments regarding health care. Outside of the office Dr. George likes to put his naturally high-energy persona to work through fitness and fun. Besides P90X, he has customized his own exercise programs to meet his unique needs and keep him healthier and more the wiser. His passion for theater and involvement in Star Wars through the 501st Legion, has allowed him to help raise funds and awareness for several children’s charities including Toys for Tots, Make-a-Wish, Shiners Hospitals, Baystate Hospitals and more. He looks forward to working with you to achieve total wellness.